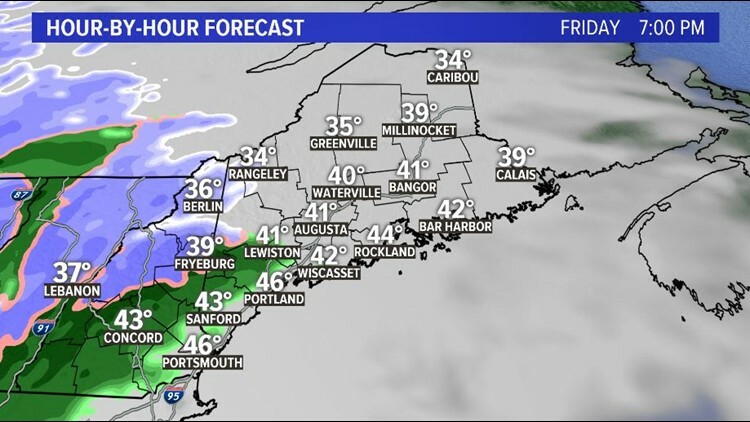 There wil be accumulating snow in the mountains and in Northern Maine on Friday night into early Saturday. 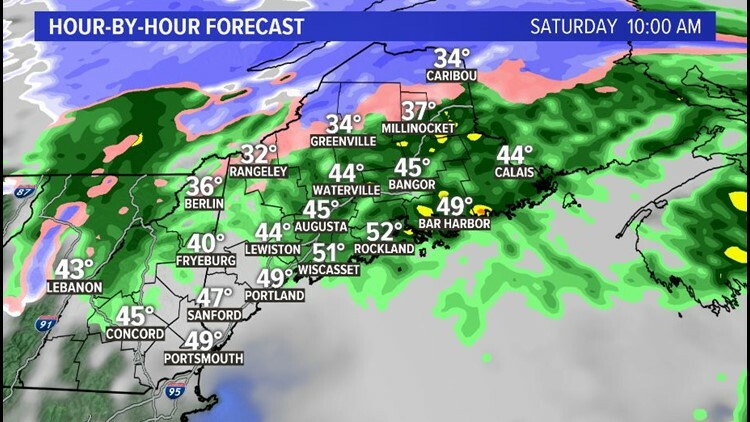 The coast looks rainy and a mix is possible in between. After a sunny start Friday morning, clouds quickly move in, then rain/snow/mix show up right around dinnertime. 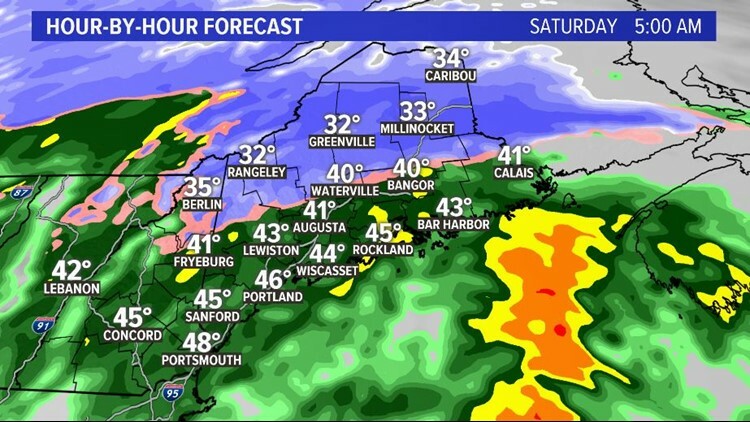 Looks like the coast will stay all rain, the mountains and Northern Maine will stay mostly snow, and in between will be, you guessed it, in between. 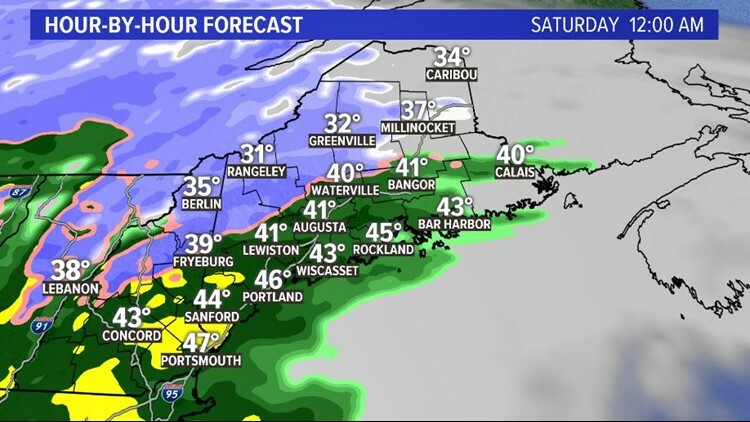 Precipitation continues overnight and will wrap up as rain by mid to late morning Saturday across southern and Central Maine and by the afternoon for most of us. 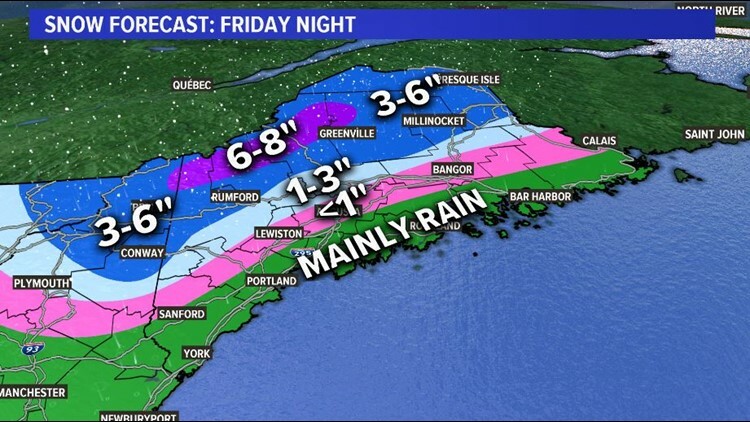 The mountains will get some accumulation out of this one! 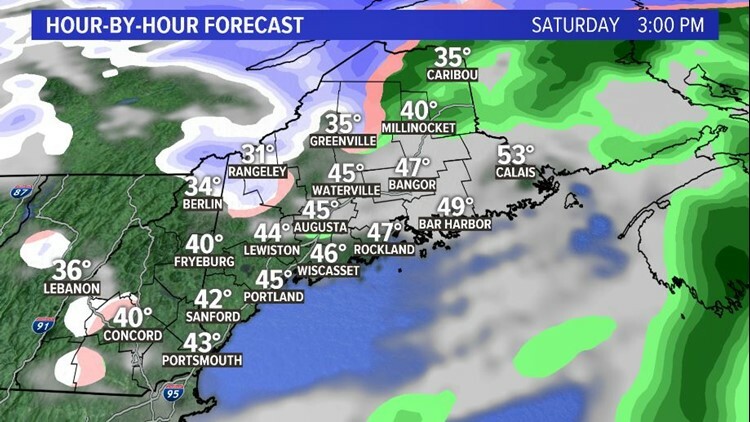 It'll be breezy Saturday too. Much colder air comes in behind the low and high temperatures on Sunday will be cold. 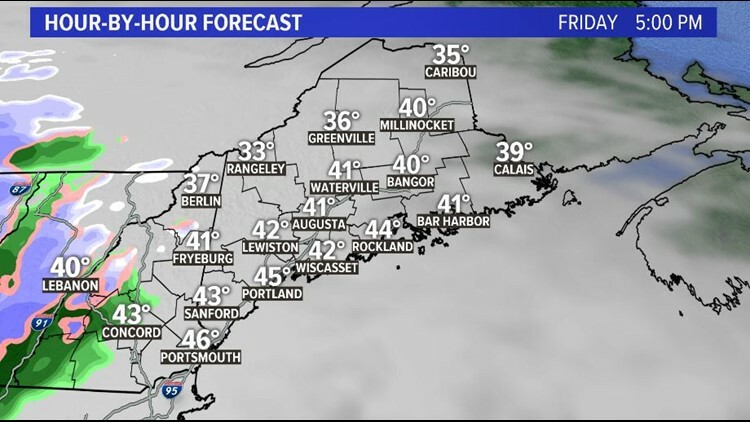 Highs will only be in the 30s.